So my family and I went to Milpitas, CA last week for our dentist appointment... then we ended up at Seafood City. Its a supermarket that has Goldilocks, Bench, and The Face Shop! The prices were higher incomparison to the already-too-expensive price tag in the Philippines... but I couldn't resist! 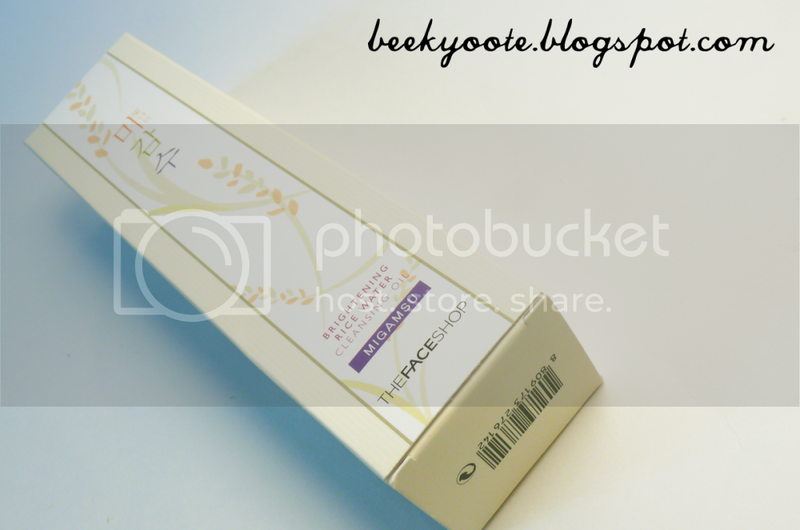 The Face Shop's Brightening Rice Water Cleansing Oil Migamsu. I felt like I was probably breaking out because I didn't take off my makeup properly. I never had a problem with breaking out before but now it seems that I need to take extra measures! Initially, I was looking at other $21 cleansing oils but the sales lady said that this had better skin properties. This is 150ml and cost $16. 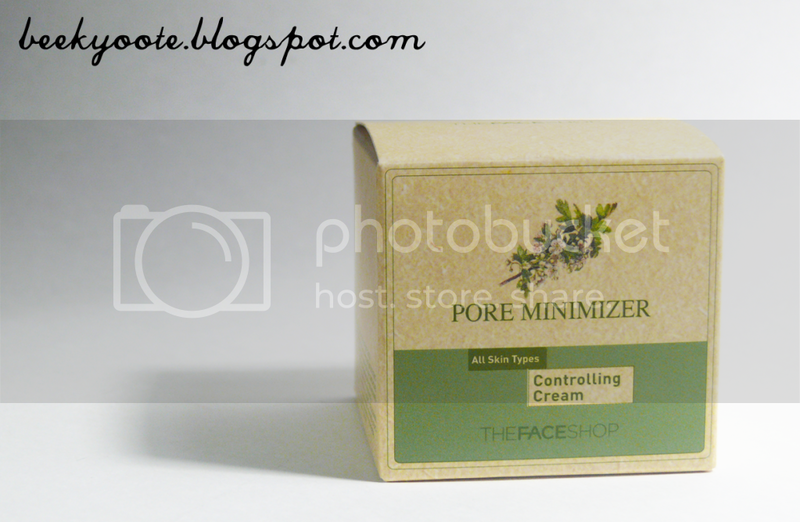 The Face Shop's Pore Minimizer Controlling Cream. I also didn't have a good moisturizer at hand so I asked the sales lady what she recommends for an oily skin type with dry patches and is also acne-prone... She showed me this. It supposedly minimizes the pores, so that's good! My dad actually bought my sisters and I the toner for this before from The Face Shop located at SM MOA. This cost me $24. 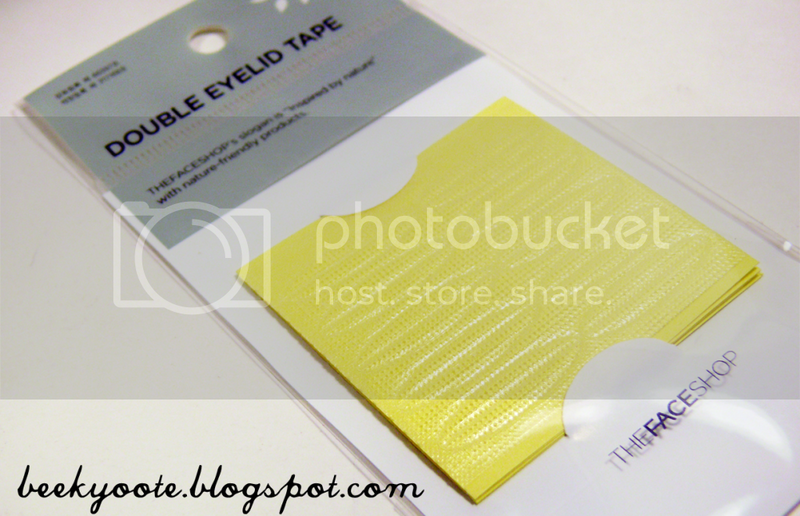 The Face Shop's Double Eyelid Tape. If you read my post about an award, you'd know I'm suffering from uneven eyelid shape. In other terms, one of my eyelids has no fold to it resulting to 2 different eyeshapes which in turn makes it difficult for me to line my eyes symmetrically. My friend was supposed to send me Eyelid glue from the Philippines but that didn't turn out as planned... When I saw this product, I was like "OMG!!! HURRAH!" because now I can create a fold with my monolid. It cost me $2 a pack and I bought 2 of these just to be sure! 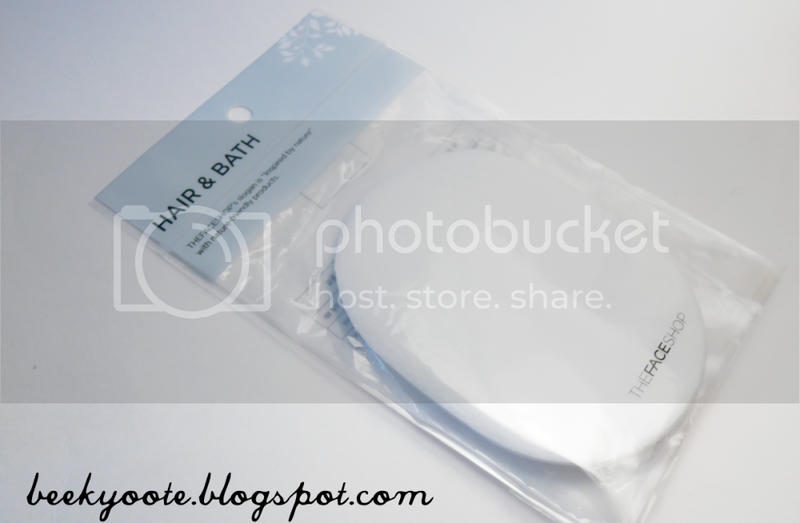 The Face Shop's Hair & Bath Natural Cleansing Sponge. As I was looking at the tools section of the shop (same area I got the eyelid tape), the sales lady recommend me this. She said this was good for washing your face so the product can penetrate the skin better. It was $3 so I was like "Okay!". 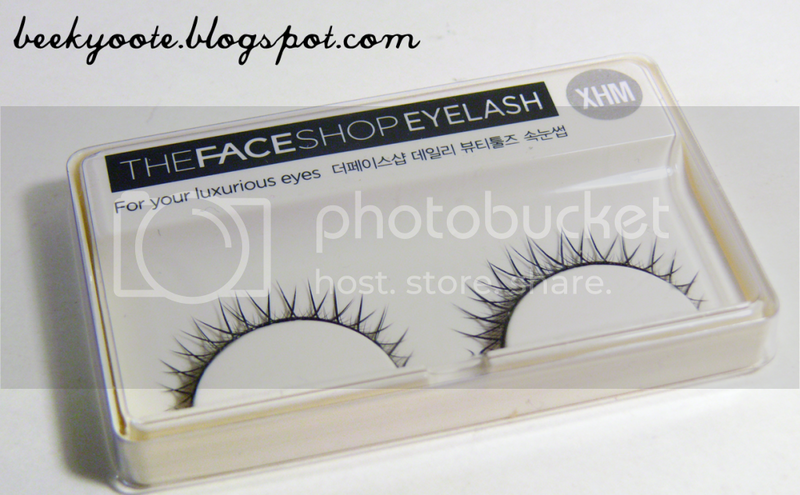 The Face Shop's Eyelash XHM 06. I wasn't supposed to get this but the sales lady said that adding an item at least $3 to my purchase will enable me to avail the promo for getting stuff worth $10! I threw this in since it was exactly $3. 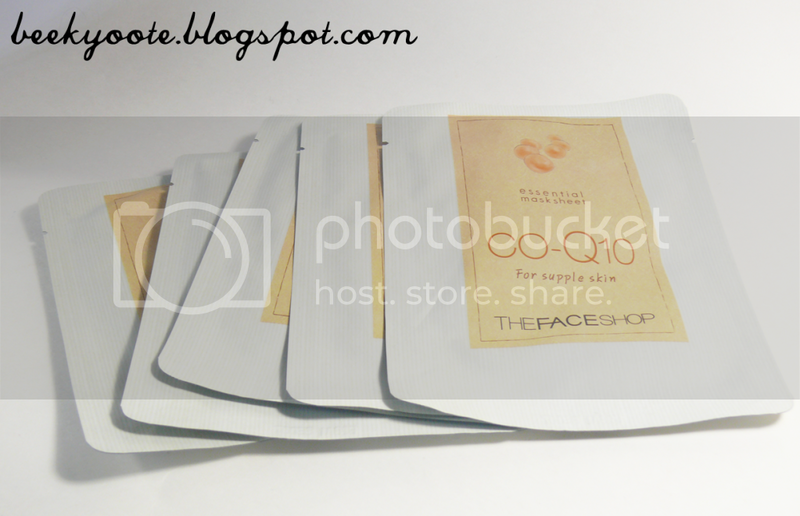 The Face Shop's CO-Q10 Essential Sheet Mask. These masks were my pick for the promo! Each CO-Q10 mask costs $2 so getting 5 of it amounted to the free $10 item! The Face Shop's The Smim Hydrating Toner & Emulsion Freebie. Now these were the freebies! Its so small and I bet its great for traveling! I was pleased to receive 2 samples because I usually buy samples when I was in the Philippines or the shops never really gave any back there (for me, at least). This haul cost me $55! A big blow to my birthday money! LOL. My older sister commented that I could have gotten it cheaper online... Oh well! I know for sure I could get it even cheaper online in the Philippines... but I just couldn't wait! HAHA. This would most likely be the last of my haul from my birthday money because I need to start saving. And oh, I didn't get any BB Cream because the prices were really bad that made me look away instantly ($30-$50) and the fact I still have a few to try and a lot to review. Be on a look out for that! For those who don't know, The Face Shop is a Korean brand of makeup and skin care products. It's really cheap in Korea but it gets expensive the farther away it is sold from its mother land. My Filipino readers, you can get it at most SMs (e.g. SM MOA). Unfortunately for my fellow Bicolanos, SM Naga doesn't have this store the last time I checked. Haha. I had to ask her because there were too much things that I couldn't concentrate and decide what to get! LOL. I definitely won't be getting anything for myself anytime soon! Hopefully I could make the lashes work for me... Let's see! hehe. My little sister was the one who instructed me to get the masks because she loves them a lot... So I'm excited to use them! Sorry for not mentioning it... but Goldilocks is a Filipino pastry shop that also serves Filipino food. And for those who are wondering what Bench is... It is a Filipino store/brand of clothing. hi sis , I'm also interested of trying out those eyelid tape because i'm also having dillemas with my eyes as you can see on my picture from my blog my eyes are also chinky (chinita) looking. there are times i'm double lid at the left and monolid on my right, most of the time i also notice that my eye crease are uneven .How's the experience? is the feeling still close to natural? please give some feedback or a review ^_^ thanks. I'm a double lid on my left & monolid on my right eye, as well! The process will feel sort of weird... I'll do a post on it soon! I love the Face Shop!! I don't go to the one in Milpitas though. Actually I didn't know there was one there. I would like to try the pore minimizer. Haha.